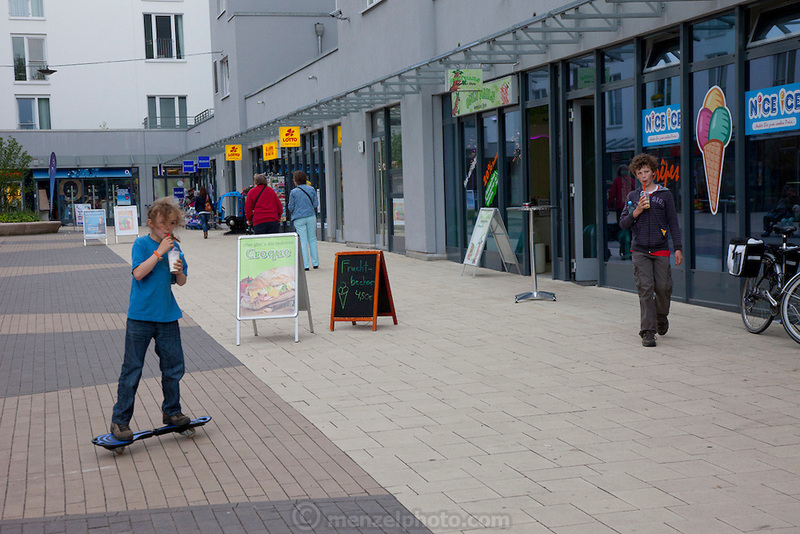 Lenard Sturm and his brother Malte Erik, on skate board leaving an icecream shop near their apartment in Hamburg, Germany after school. They were photographed for the Hungry Planet: What I Eat project with a week's worth of food in June. Model Released.